Through its unique Composer-in-Residence programs, the Orchestra (WAYJO) annually supports two emerging composers to develop new works for a large jazz ensemble, offering both generous commission fees and artistic mentorship. This is a rare opportunity for a composer to create new music for a big band without creative restrictions or boundaries. 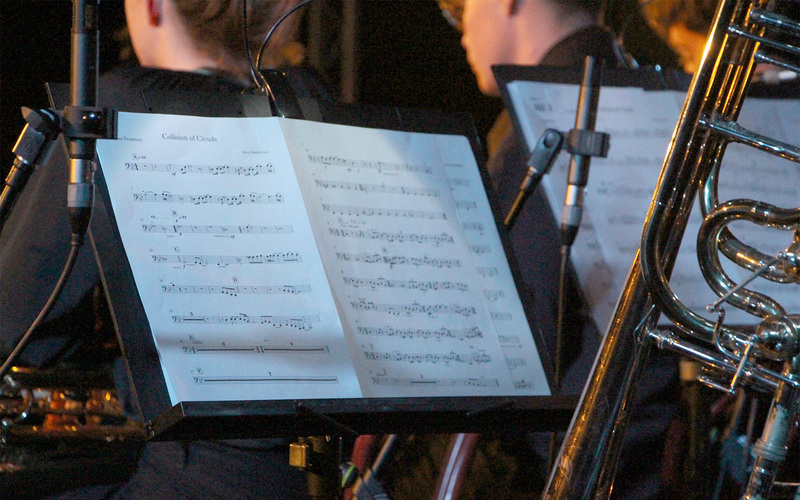 We encourage forward thinking and creative ways of using the big band instrumentation as it is the only way that this music can move forward. Since its launch in 2008, the WAYJO composer in residence program has presented new works works from great Australian composers such as Rafael Karlen (QLD), Alice Humphries (WA), Jenna Cave (NSW), Andrew Murray (VIC), Brodie McAllister (QLD), Elliott Hughes (VIC), Tim Newhouse (WA), Rafael Jerjen (NSW) and Joshua Hatcher (QLD). No extensions will be offered or late/incomplete applications accepted. Successful applicants will be notified by Fri 15 March, 2019. Submission of Application Form, plus up to 3 original composition scores and recordings (via download link/s or mail), are required before the closing date. Live or computer generated recordings are accepted. This program is open to all Australian composers (citizens and permanent residents). The successful applicants will be required to compose the requisite number of original new works, each of between six and eight minutes duration, for the WA Youth Jazz Orchestra Wednesday Night Orchestra (18-piece big band). These works must submitted to WAYJO’s Artistic Director by Monday 3 June, 2019. Open to any jazz composer aged 30 years or younger (as at 1st January 2019), residing in Australia. $5,000 offered to the successful applicant to develop 3 new, original compositions. Flights and accommodation included (unless the applicant is a resident of the Perth metropolitan area). Return economy airfares to Perth, Western Australia from the applicant’s nearest Australian capital city, up to a maximum value of $1,250. Accommodation in Perth for an agreed period, up to a maximum value of $1,250. The successful applicant will be required to compose three new works, each of between six and eight minutes duration, for the WA Youth Jazz Orchestra Wednesday Night Orchestra. These works must submitted to WAYJO’s Artistic Director by Monday 3 June, 2019. Open to any jazz composer aged 21 years or younger (as at 1st January 2019), residing in Western Australia. $2,000 offered to the successful applicant to develop at least 2 new, original compositions. The successful applicant will be required to compose two new works, each of between six and eight minutes duration, for the WA Youth Jazz Orchestra Wednesday Night Orchestra. These works must submitted to WAYJO’s Artistic Director by Monday 3 June, 2019. Advice and mentoring from WAYJO’s award-winning music directors and/or music industry professionals. Opportunities to rehearse and perform with WAYJO’s premier band, the 18-piece Wednesday Night Orchestra. An opportunity to premier the works at the King St Corner Pocket Jazz Festival, running July 4-6, 2019. While applicants under 21 years of age residing in WA may apply for both positions, they may be selected for one position only at the discretion of the Artistic Director. The successful applicants will be notified by Fri 15 March, 2019. The applicant has 5 business days to accept the position. Should the applicant not accept within the allotted time frame, the position will be offered to the next suitable applicant. The applicant is to abide by WAYJO policies during rehearsals and performances.